In this camp you will use Construct 2 software to create a game that can be utilized on a mobile device. This software also utilizes drag and drop programming but with more in depth abilities. 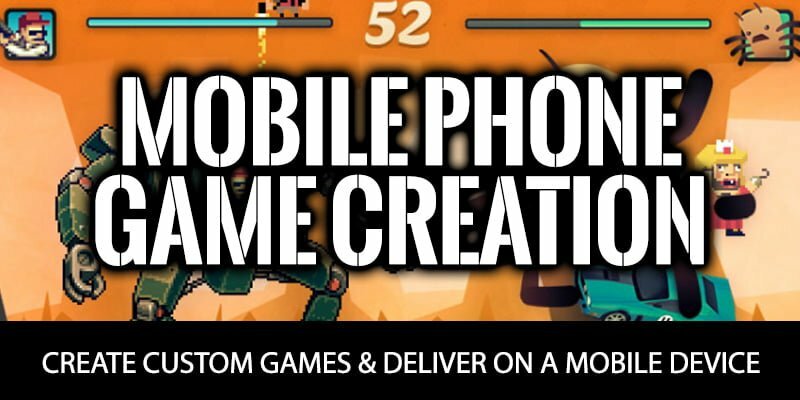 You will create your own worlds, learn to create own characters, learn to animate those characters, create objectives in your games & deliver your games on a phone. With Construct 2’s drag and drop engine, making either a platform jumper, or top down shooter is a breeze. This game engine has everything you need already built into it, while being very user friendly that users with no experience can pick up on very easily. Campers will be learning how to import sprites or create their own for the game they will be making. Using the animation editor to take the sprites they want and add animations like walking, jumping, and shooting to their creations! Campers will also be adding custom behaviors, or events, to their game. This allows them to control how the game plays and how it interacts with their sprites. Adding hitboxes to their sprites is another one of the many things they’ll be doing with Construct 2. They’ll be creating backgrounds, textures, and importing sound files that will bring their creation to life. An interest to learn more in the field of Coding. Mobile games are games designed for mobile devices, such as smartphones, feature phones, pocket PCs, personal digital assistants (PDA), tablet PCs and portable media players. Mobile games range from basic (like Snake on older Nokia phones) to sophisticated (3D and augmented reality games). Today’s mobile phones - particularly smartphones - have a wide range of connectivity features, including infrared, Bluetooth, Wi-Fi and 3G. These technologies facilitate wireless multiplayer games with two or more players.